On Monday, May 28th, you will have the opportunity to make history by partcipating in Hatteras Island’s 1st Annual Shorebreak 5k and Tide Pool Fun Run! Come one, come all! Feel free to walk, jog, or sprint the 3.1 mile scenic loop through beautiful Kinnakeet Shores in Avon. The 5k will start at 8am at the Oceanfront Pavilion of the Beach Klub in Avon. The Tide Pool Fun Run will begin immediately following the Shorebreak 5k at 9am on the beach. This event is a fundraiser for the Hatteras Island Youth Education Fund and the OBX GO FAR Children’s Health and Nutrition Program. Registration is $35 and $25 for ages 18 and under. The fee includes a goody bag, t-shirt, medal, age group winner prizes, and a post-race party for adults 21 and older. The fee for the Tide Pool Fun Run is $10 and includes finisher medals and a t-shirt. For more information or to register, visit Hatteras Island Youth Education Fund on the web. Come out and support our local community and each other during this Memorial Day weekend event! Gearing UP for Memorial Day week festivities! No matter what you’re gearing up for, whether it’s surfing, kiteboarding, some of the world’s best fishing, or just a fun time on the beach, the OBX delivers! Memorial Day week on the OBX will prove just how “geared up” everyone is to get this season rolling and off to an eventful start! We’d love to see you at one or all of the holiday week events, so go ahead and mark your calendar and we’ll see you there…or on the beach! 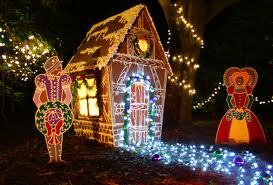 ~Come and see what the village of Frisco has to offer! This arts and crafts show will showcase vendors from all over the state! Come and see what the fuss is all about and become inspired to create your own masterpiece! THE WOUNDED WARRIOR PROJECT will also be selling plates of BBQ on May 26th, so stop by and grab a bite for lunch and support this worthy cause! ~Join Robert August and son in their quest for the best waves Hatteras Island has to offer! Admission is FREE! There will be a surf party with LIVE music on Saturday night, and a special showing of the 1966 original film, “Endless Summer,” on Sunday night, as well as demos and autograph sessions. Both events are located at REAL Watersports, 25706 Hwy 12, Waves. For more info contact 252-987-6000 or visit them on the web. ~This crafty festival will be held rain or shine at the Baum Senior Center in Kill Devil Kills, behind the Kill Devil Hills Post Office. Be sure to stop by and support our talented local artists and browse their wares! ~All are welcome to run, walk, or jog the scenic 3.1 miles through beautiful Kinnakeet Shores in Avon! The Shorebreak 5k will begin at 8am followed by The Tide Pool Fun Run on the beach. Come support each other and our community! All proceeds from this event go towards the Hatteras Island Youth Education Fund and the OBX GO FAR Children’s Health and Nutrition program. ~Enjoy free live music at REAL Watersports in Waves, from 6-10pm! ~Travel down to Red Drum Pottery in Frisco for a fun night of entertainment by an assortment of talented local musicians or bring your own instrument and be apart of the entertainment! Show starts @ 7! $5 admission, which includes snacks and a drink served during intermission. ~Bring the entire family to Frisco Woods Campground to enjoy a day of stand up paddleboard races for all ages and experience levels! The races get underway early Saturday morning, June 2, so don’t forget to register early! Online registration closes @ 8pm, Friday, June 1 and on-site registration closes @ 8am, Saturday, June 2! Come and join the fun and see what the paddleboard craze is all about! For more information on this event visit the sponsor’s webpage. 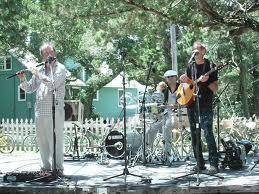 ~Starting @ 9am, enjoy a beautiful day in Manteo’s downtown historic waterfront! 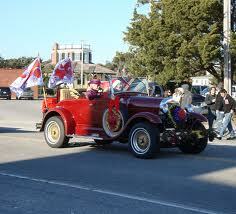 Dare Day is an annual celebration of the people and history of Dare County. There will be enterainment and demonstrtations provided. Admission is FREE! Come enjoy a day full of exploration and learning! Enjoy your week and thank you for visiting The Outer Banks! On Monday, May 14th, starting at 10am, you will have the rare opportunity to witness a very special pre-season beach drill to be performed by the United States Coast Guard! This Beach Apparatus Drill is also known as the Breeches Buoy Reenactment and will presented by The Chicamacomico Live-Saving Station Historic Site and Museum located in Rodanthe at milepost 39.5. Take a trip back in time to the site of the most-highly awarded maritime rescue in American history! Click here to experience this daring rescue with the surfmen of the USCG! Admission is free with regular site admission. Adults: $6, Seniors 62+ and Youth 6-17: $4. Be sure to bring your appetite for a delicious $5 hamburger or hotdog plate, which includes sides and a drink! Don’t miss the boat, folks! Grab a buoy and hold on tight as you experience this amazing performance! Hop on over to Hatteras Island for a week filled with family fun and Easter festivities! 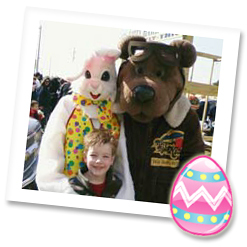 Plan your Hatteras Island vacation today and enjoy these EGG-cellent holiday events! 9:30am -10:30am. 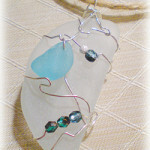 This will be a fun class putting together different shapes and colors of glass to make your very own sun catcher. Pre-cut pieces allow kids to not have to cut glass, older students can use some basic tools to cut shapes. Projects are kiln fired and ready for pick up the next day. Ages 4 and up. Class Price: $24.00. Studio 12 is located in Avon on Hatteras Island and offers various classes throughout the season as well as a full art gallery and working studio. 10am. A fun class for ages 4 and up that loosens you up to make colorful fun paintings working with acrylics. Whether you are a novice or experienced painter you are sure to have some fun in this class! Great for both kids and adults! 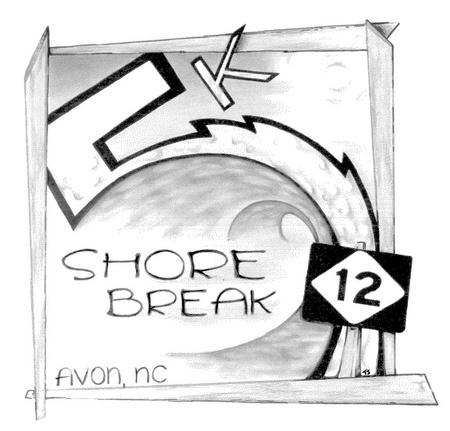 Studio 12 is located in Avon on Hatteras Island. 10:30am- 2pm. 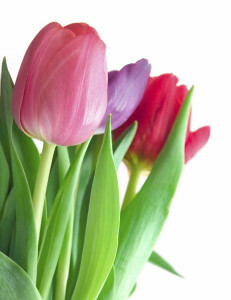 Enjoy an Outer Banks spring tradition held in the midst of the beautiful spring blooms featuring a family fun scavenger egg hunt, photo opportunities, a homemade bake sale, egg roll on the Great Lawn, story time, educational crafts, games, an Easter bonnet and hat contest, and more kid-geared fun. Children under 5 are free with a paying adult. The Elizabethan Gardens are located at 1141 National Park Drive in Manteo on Roanoke Island. 11am. The Cape Hatteras Baptist Church, located in Frisco Villlage on Hatteras Island, will be hosting an Easter egg hunt for kids and parents! Lunch is provided with hot dogs, peanut butter and jelly sandwiches and macaroni and cheese. 2pm. Hatteras United Methodist Church is located in the heart of Hatteras Village next to the post office. Hop on over for an Easter egg hunt and fun times with Mike the Magician. Ice cream will be served as well! Join the North Carolina Aquarium on Roanoke Island and learn about one of our local endangered species, the sea turtle. 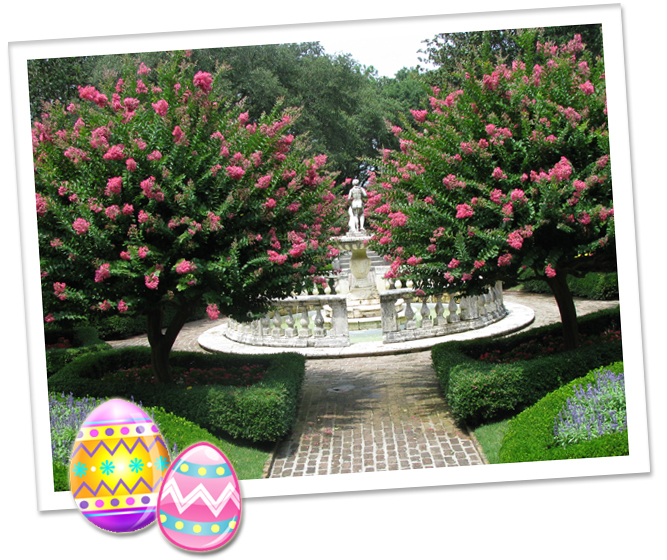 This activity is more than just an egg hunt! Children will take part in a sea turtle program, come face to face with a loggerhead turtle, and make a craft to take home. The program will conclude with an egg hunt on the Aquarium grounds as children search for eggs filled with treats! Event will be held rain or shine. (Ages 3-7) Preregistration required by calling the Aquarium at 252-473-3494 x232. 10am- 5pm Monday – Friday. With its two stations and five outbuildings, Chicamacomico (pronounced chik a ma COM i co) is the most complete site of remaining life-saving stations in North Carolina and one of the nation’s most complete sites. 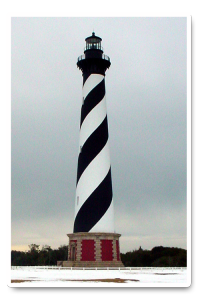 This site is located on Hatteras Island in the village of Rodanthe on the Outer Banks of North Carolina. Its purpose is to restore, preserve, protect, educate and interpret the rich history of these valiant men and their dedication to the U.S. Life-Saving Service, as well as interpreting the history of the buildings and artifacts. Open to the public from mid-April through November, and provide visitors with tours, programs, reenactments and special events. Don’t miss the Chicamacomico Summer Porch Programs held Monday through Friday in season. Avon: Avon Fishing Pier at 6:30 a.m. Pastors Bryan Gray and Roger Dill will be leading the service. Buxton: Old Lighthouse site at 6:30 a.m. with Rev. Cory Oliver of the Hatteras United Methodist Charge. Sunrise services will be followed by worship service at Little Grove UMC at 8 a.m., Buxton UMC at 9:30 with a cantata presentation by the Hatteras Charge choir, and at 11:15 at Hatteras UMC with cantata. Rodanthe: Chicamacomico Life-Saving Station Historic Site at 6:15 a.m. with the Rev. Jim Bliss of Fairhaven and Clarks Bethel United Methodist churches. Book your Hatteras Island vacation today and check out our specials page for egg-cellent last minute savings! If you are LUCKY enough to be spending St. Patrick’s Day on Hatteras Island, be sure to check out these fun events happening all weekend. Visit our Specials Page for last minute savings on Hatteras Island beach vacations! Sponsored by Avon Surf Shop and Kinnakeet Civic Association. For questions or more information about St. Baldrick’s Day please call Jennifer Harmon at 995-4783 or Jenn Augustson at 995-3855. 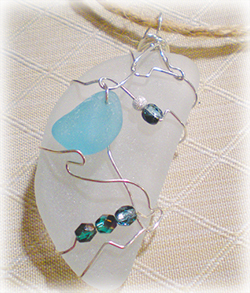 Make your very own sea glass pendant jewelry at Indian Town Gallery, located in Frisco on Hatteras Island. 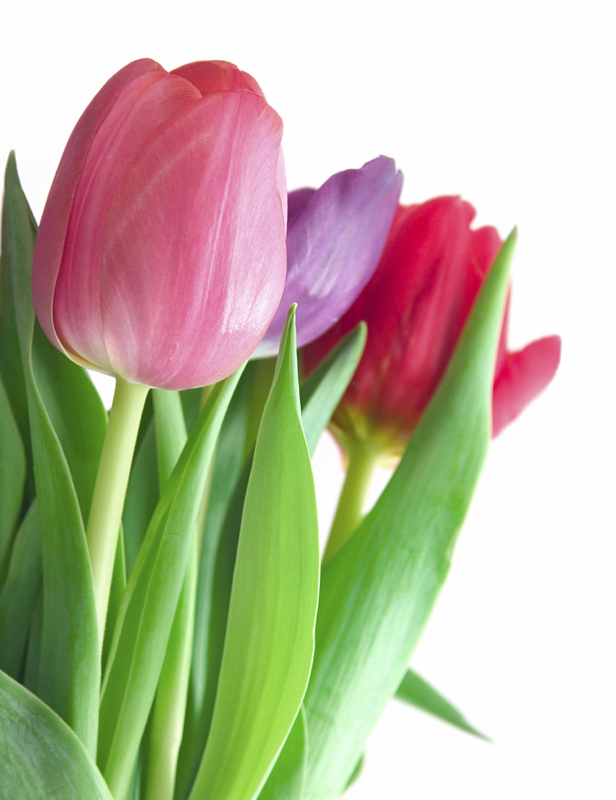 The class is Saturday, March 17th from 10am to 11am. Cost is $25 and includes all materials. Call for more information! (252)995-5181. Come out to Hurricane Heathers restaurant in Buxton Saturday night and enjoy live music, Irish food and great times! Visit Hurricane Heathers on Facebook or call (252)995-3060 for more information! Wear your green! Head out to Sandbar & Grille in Buxton for live acoustic music Saturday night by Rory Kelleher, plus corned beef and cabbage and a variety of green beverages served up at the bar! 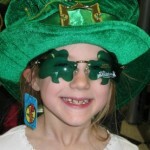 Sandbar & Grille says, “Bring your Irish on! !” Visit Sandbar & Grille on Facebook or call (252)995-3413 for more information! 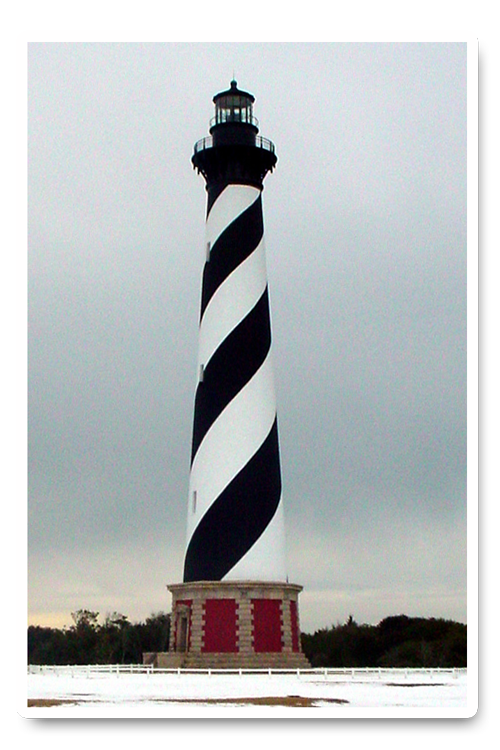 A special Cape Hatteras Lighthouse Winter Climb is scheduled for Saturday, December 10 from 10am to 3pm and is absolutely FREE to the public! It’s called Up We Go! Ho! Ho! Ho! Lighthouse Society and National Park Service employees from the Interpretation Division will staff the lighthouse, which will be decked out for Christmas with a wreath on the door. As a reminder, all climbers are required to be at least 42 inches tall and must climb the steps on their own — they cannot be carried. Children under 12 years of age must be accompanied by an adult (16 years of age older). The climb is strenuous. The 248 steps to the top are equal to climbing a 12-story building, and there may be damp and chilly conditions inside depending on the weather. The climb is strenuous! The 248 iron spiral stairs to the top equal climbing a 12 story building. The stairs have a handrail only on one side and a landing every 31 steps. There is no air conditioning. It may be noisy, humid, hot and dim inside the lighthouse and there is two-way traffic on the narrow stairs. Visitors with heart, respiratory or other medical conditions, or who have trouble climbing stairs, should use their own discretion as to whether to climb the tower. The lighthouse may close at any time if weather conditions are unsafe. •	Children must be at least 42″ tall and capable of climbing all steps on their own. •	Children under 12 must be escorted by an adult (16 years of age or older). •	No person may be lifted or carried. •	Running, jumping, or stomping on stairs and landings is prohibited. •	Do not eat, drink, smoke or chew tobacco. •	No pets, other than service animals. •	Do not arrive in heels over 1 ½ inches high or in bare feet. •	Leave umbrellas in your car. •	Backpacks, tripods, coolers, beach bags, surfboards, fishing poles, etc. also need to be left in your car. •	Throwing of objects, including frisbees, boomerangs, etc, off the lighthouse is unsafe and may get you in big trouble! Tags: Cape Hatteras Lighthouse Winter Climb, Hatteras Island Parks, North Carolina Park Service, Up We Go! Ho! Ho! Ho! The Graveyard of the Atlantic Museum is inviting everyone to a free Open House Saturday, December 10th from noon to 4pm. 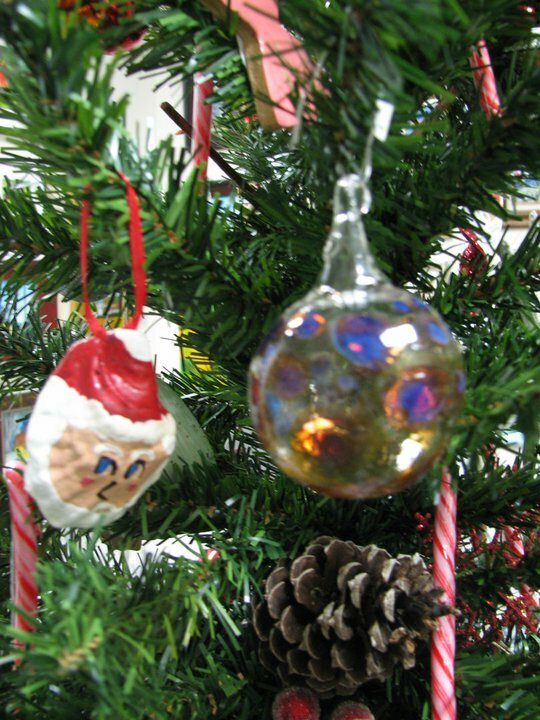 They have been busy decorating and are anxiously waiting to show off their festive spirit! If you bring a donation for the food bank, you will receive a 5% discount in the Meekins Chandlery Gift Shop and each shopper will be given a special holiday bag. When you stroll through the holiday village, you will be delighted by the vintage Santa Claus displays, and your eyes will sparkle at the sight of twinkling lights and ornamented trees. The animatronic dog and bear is sure to cause laughter to erupt from young and old! Caroling and children’s activities will be held in the education wing. Open the doors to the Burrus Couch Midgett Gallery and learn Hatteras Island history by viewing: the “Flags Over Hatteras” Civil War exhibit with pieces assembled from collections around the nation; the “Pirates, Scalawags, and Brigands” display with actual artifacts from Blackbeard’s Queen Anne’s Revenge shipwreck; recognize some familiar names and faces and learn about the cultural implications of shipwrecks in “Ship Ashore” ; and even view actual pieces from the dining room table of the U.S.S. Monitor. 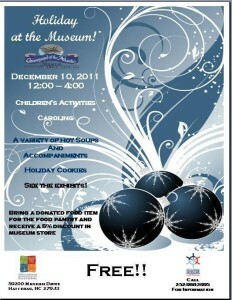 Enjoy a variety of hot soups and holiday cookies for free! All events and exhibits are free and are appropriate for all ages. 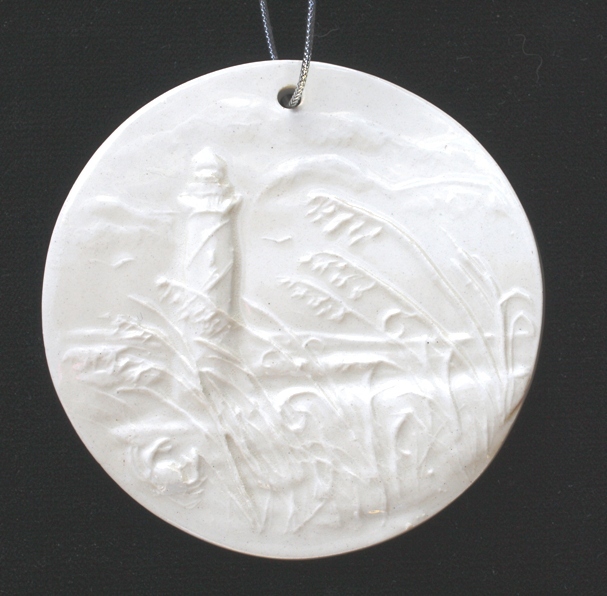 Hatteras Island’s very own Studio 12 has been chosen to have an ornament they have designed and created displayed on North Carolina’s tree at the 2011 National Christmas Tree Display in President’s Park in Washington, D.C. and for the Christmas tree at the White House Visitor Center. The tree lighting ceremony will take place Dec 1st. Studio 12 worked with Locomotion to create the limited edition ornament, and a portion of proceeds from the sale will be donated to Locomotion. Locomotion is an organization dedicated to enhancing the lives of Hatteras Island youth by providing programs for students in grades 6-12. For information on the organization, contact director Kathy Kiddy at klocomotion@embarqmail.com. 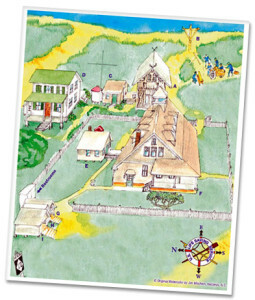 Studio 12 is located on Highway 12 in Avon and is owned by artists Carolyn and Gary Schena. 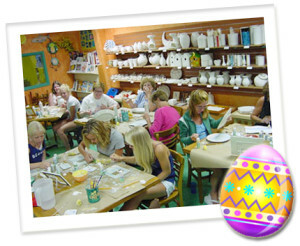 The studio is a wonderful place that offers a unique experience to paint pottery and create mosaics and glass fusions. To purchase the limited edition ornament, click here. For more information on classes or anything else Studio 12 has to offer, contact Carolyn Schena at carolyn@studio12hatteras.com or call 252-995-7899. 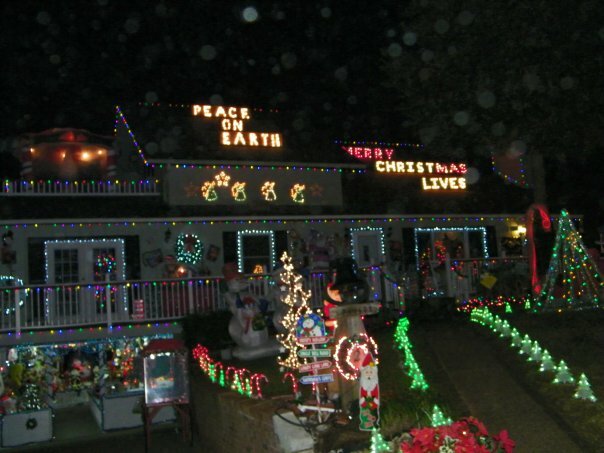 DescriptionEnjoy one of the most famous homes in America for its Christmas and Holiday Lights display. 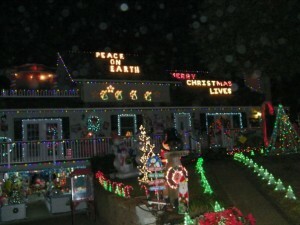 Featured as a national winner of a Today Show lights contest, and on HGTV! A night viewing is optimal to get the full effect of the lights. The time and effort the Poulos family puts into this display every year is astounding…you’ll see little vignettes and decorum found absolutely nowhere else! Directions: The house is located in Kill Devil Hills near the Nags Head Woods entrance Heading South on Rt. 158 into Kill Devil Hills 1. Proceed to light at Ocean Acres Dr. (opposite McDonalds) 2. Turn right at Ocean Acres Dr. 3. The road will change from paved to gravel as you go up a hill. Just over the top of the hill you will find the Poulos home. 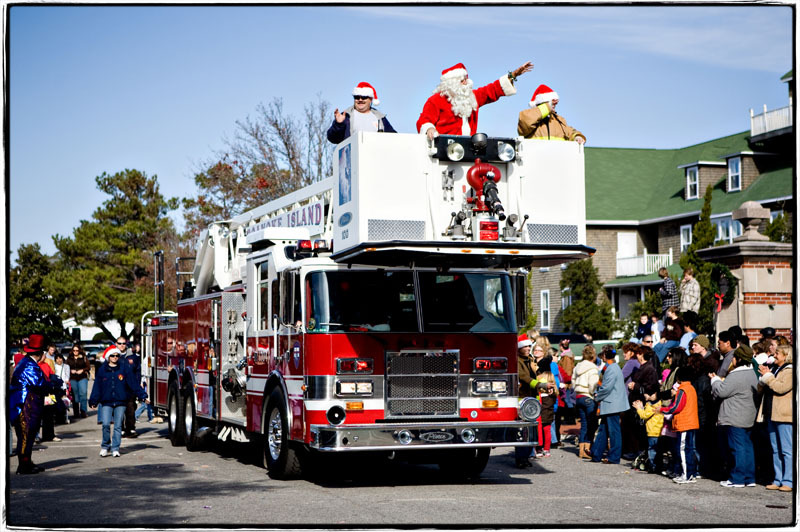 Santa will be at Chicamacomico Life-Saving Station Historic Site & Museum, located at NC 12 MP 39 ½ ocean side, Friday, November 25, the day after Thanksgiving. The Site itself will be open from 11:00 am to 4:00 pm, but Santa will be there from 1:00 pm to 3:00pm. Santa will be in the main building inside the white picket fence, which is the 1911 Life-Saving Service Station. Children accompanied by adults may tour the station in an orderly manner. Admission is free with one non-perishable item per person for the Hatteras Island Food Bank. There will also be great sales in the Gift Shop! Bring your camera- there will be plenty of photo ops! To learn more about Chicamacomico, its exciting activities and offerings, visit www.chicamacomico.net, email at clss@embarqmail.com , call 252-987-1552. When: November 25; 7:30 p.m.
Join local musicians for an evening of entertainment as the community raises funds for the Ocrafolk Festival in June 2012. 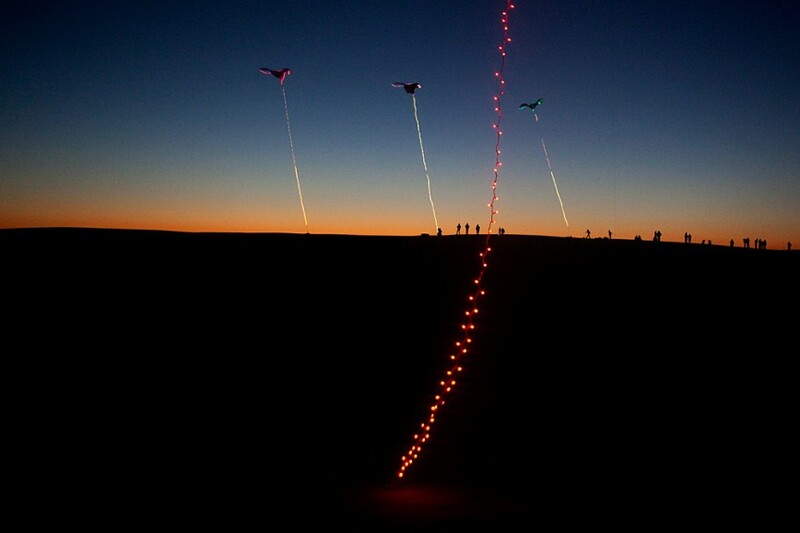 Where: Kitty Hawk Kites (mp 12.5), Nags Head. Where:Cape Hatteras Secondary School on Route 12 in Buxton. Free admission, food and a scholarship raffle. For more information call (252) 305-1606. The Town of Kill Devil Hills, home of the First Flight, offers visitors and residents an opportunity to reflect on the many aspects of the holiday season with a beautiful lighted display on Frog Pond in Aviation Park. With a backdrop of dark trees, and against the reflection of the water, the display features a classic Christmas tree design more than 20′ tall. The tree will be lit from November 25th – January 1st. Where: Jockey’s Ridge State Park (mp 12.5), Nags Head. The new Jennette’s Pier in Nags Head will hold its first ever Redfish Saturday tournament on Nov. 26 from 8 a.m. until noon. The event has something to offer everyone in your family. Trophies will be awarded that day for the longest fish of these types: red drum, black drum, bluefish, speckled trout, gray trout, striped bass, croaker, flounder and others. Jennette’s Pier has partnered with Tanger Outlet Center also of Nags Head for the event. Everyone who registers for the tournament will receive a free Tanger Outlet coupon book, a $350 value. The pier’s educational staff will offer fee-based programs for children during the tournament. So, let the angler in your family go fishing and the shopper go shopping at the nearby outlets. Families must register, however, by Wednesday, Nov. 23 for the programs. For more information, call 252-255-1501, ext. 202. 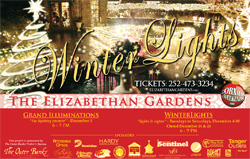 When: Sat, November 26, 7pm – 8pm; November 27 at 2 p.m. The Old Time Ensemble from the School of Music at The University of North Carolina at Greensboro will present two Christmas concerts with some holiday sing-a-longs. Don’t miss this creative group of fiddle-playing, banjo-picking, accordion-squeezing, washboard-strumming musicians. The event is part of the RIFP Performance Series. Tickets are $10 adults and $5 for those 12 and under. The Festival of Trees brings together residents and visitors to the OBX to celebrate the holiday season with twinkling lights, festive musical performances, punch and homemade cookies, craft activities for children, a visit with Santa complete with a souvenir photo, and shopping for one-of-a-kind gifts. The culmination of the Festival is an auction of donated, decorated Christmas Trees and Holiday Objects at a catered Gala Holiday Social. 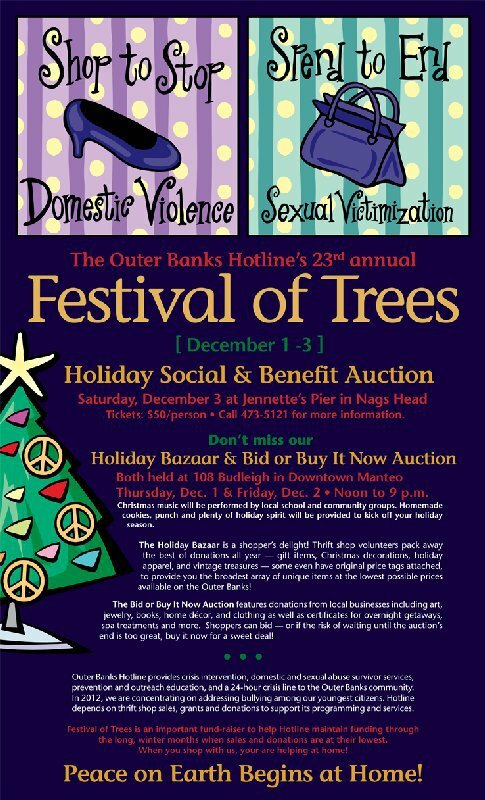 Festival of Trees is an annual fundraiser that benefits crisis intervention programs of the Outer Banks Hotline for victims of domestic and sexual abuse. December 1 & 2 Location: 108 Budleigh Street in downtown Manteo. 108 Budleigh is a spacious special event and reception venue. There will be the very popular Holiday Bazaar where volunteers will display and sell a wide variety of gift items, decorations, and even holiday attire. These items will have been collected throughout the year from the best of the best of donations to Hotline’s fundraising thrift shops. Most items are gently used, new, collectible, vintage, and unique! 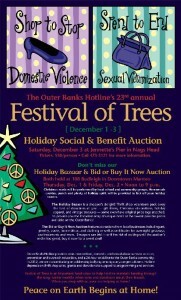 Also a large silent auction fundraiser for vacation packages and other gifts. Photo opportunities with Santa’s Snow Princess plus live performances by local groups. Cookies and punch will be served. 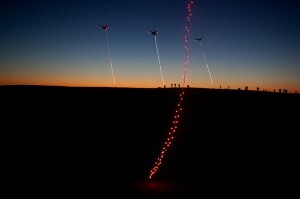 When: December 6; 5 to 7 p.m.
Where:The Graveyard of the Atlantic Museum, Hatteras. 12 – 4 p.m. Enjoy the holiday village and laugh at the animatronic dog and bear, see vintage Santa Claus displays and twinkling lights and a variety of ornamented trees. 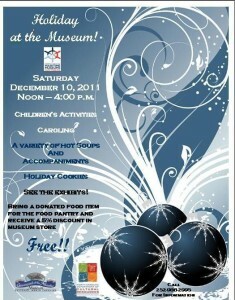 Relax with free soup and holiday cookies. If you bring a donation for the food bank, you will receive a 5% discount in the Meekins Chandlery Gift Shop and each shopper will be given a special holiday bag. Caroling and children’s activities will be in the education wing. Open the doors to the Burrus Couch Midgett Gallery and learn Hatteras Island history by viewing: the “Flags Over Hatteras” Civil War exhibit with pieces assembled from collections around the nation; the “Pirates, Scalawags, and Brigands” display with actual artifacts from Blackbeard’s Queen Anne’s Revenge shipwreck; recognize some familiar names and faces and learn about the cultural implications of shipwrecks in “Ship Ashore” ; and even view actual pieces from the dining room table of the U.S.S. Monitor. All events and exhibits are free and are appropriate for all ages. 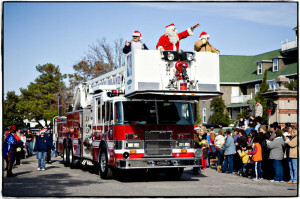 On December 11th, don’t miss the Museum Reindeer Explorer in the Hatteras Village Parade. For more information call (252) 986-2995. Free holiday tours of the Whalehead Club displaying traditional 1920s holiday decorations, complimentary hot chocolate on the porch. Singing of Christmas Carols and the simultaneous lighting of the Currituck Beach Light and the giant Cedar tree inside Currituck Heritage Park. The parade will begin at Teach’s Lair Marina at 2 p.m. The parade route continues through the village and ends at the Hatterasman Drive-In. Everyone is invited to the Civic Center after the parade for home-baked cookies and hot chocolate and to hear the announcement of the winners. Where: Wright Brothers National Memorial. 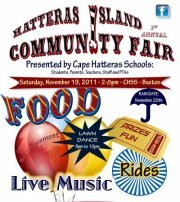 9 a.m. to 5 p.m.
Surf or Sound Realty is a proud sponsor of the inaugural Hatteras Island Community Fair, happening Saturday, November 19 from 2-8pm on the grounds of Cape Hatteras Secondary School in Buxton! The theme of the fair is “Celebrating the Spirit of Hatteras Island“. Neighbors from Ocracoke and the northern Outer Banks are most welcome as are visitors. A white dove release will kick off the fair at 2:00 pm. Fun for all ages can be had with rides such as Dixie Swings and Dixie Whizzer, 10 inflatables including Alien Laser Tag and a Bounce House. Games will include Plinko, baseball throw, corn hole toss, cake walk, oyster dig and many more. Be ready to eat fair favorites like local fried fish, jambalaya, hot dogs, hamburgers, pizza, cotton candy, funnel cake, and caramel apples. Also for sale will be Otis Spunkmeyer cookies, Starbucks coffee and much more! For those of you who want fresh produce – Coastal Harvesters will be there selling fresh produce grown in North Carolina. Live entertainment will be provided on indoor and outdoor stages. The jazz bands of Cape Hatteras Secondary, First Flight High and Manteo High will be performing, followed by Chris Bellamy and other local bands. Dare County will be onsite with many departments to offer local services, as well as the Dare County Cancer Outreach Program. Admisson to the fair is free and many activities will be available without charge. Tickets for rides and games are 50 cents each. A free ride ticket is included in a $10 ticket purchase. Two free ride tickets and a free flexible wristband/key chain to hold the tickets are available with a $25 ticket purchase. On fair day, tickets will be sold at the auditorium box office and one or more satellite booths.